The staff at Aviara Animal Health Center understands how busy your personal and professional lives can be. When you need to travel either for business or for pleasure, you don’t want or need extra stress. It can be challenging to determine where your beloved pet(s) will stay while you are away. 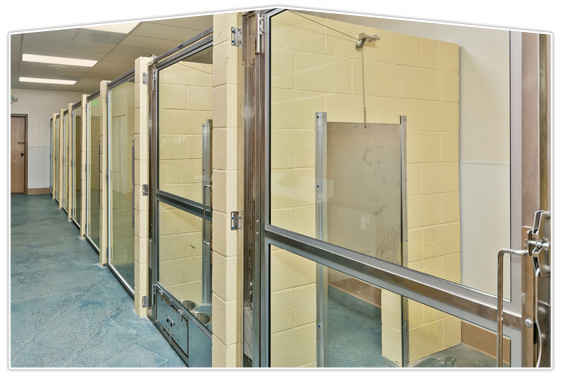 At Aviara Animal Health Center, our team is dedicated to providing a safe, fun and affordable environment for your dog or cat while you’re out of town. 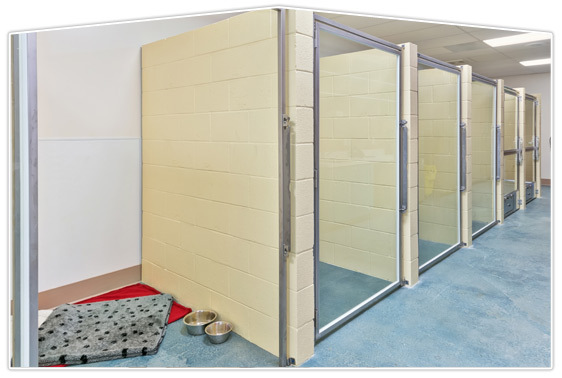 Within our newly constructed facility, we can offer your special companion a range of accommodations designed to suit his or her unique needs. Your furry friend can benefit from one of our spacious individual air-conditioned suites, or reserve one of our combination suites – where multiple pets from the same family can stay in interconnected suites. Supervised by our nurturing and friendly staff, your pet will constantly be cared for by our on-site veterinarians. Should your pet require any medical attention, administration of medicines, or special food preparation while you are away, our experienced staff is ready to care for your cherished companion. We keep impeccably thorough records of your pet’s walks, feedings, and medications – all to help give you the peace of mind that’s crucial for a stress-free boarding experience. All special health needs will be reviewed with you before your departure and your pet is welcome to board with his own favorite toys and/or personal items. We want your pet to be as comfortable as possible while he stays at Aviara Animal Health Center. Please call (760) 438-7766 in advance to make your pet’s reservation. Our facility fills up quickly, especially during holidays, so we suggest you call well in advance of your planned travels to reserve boarding. In order to ensure the protection of your pet and others, we require guests to our boarding facility to be up to date on several vaccinations. Our canine guests must be current with Rabies, DHPP (canine distemper vaccine) and Bordetella, and our feline guests must be up to date with vaccinations for Rabies and FVRCP (feline distemper vaccine). Our veterinary team is happy to arrange for any necessary vaccinations to be administered at our animal hospital, or we can accept vaccination records from your veterinarian. Our fax number is (760) 929-0715. Note: While our boarding service's hours of operation mirror the hospital's hours, members of the team at Aviara Animal Health Center are on hand after normal operating hours to ensure your pet constantly has access to the care necessary to make their stay with us comfortable and stress-free. Click here to download our Medical Boarding Agreement.